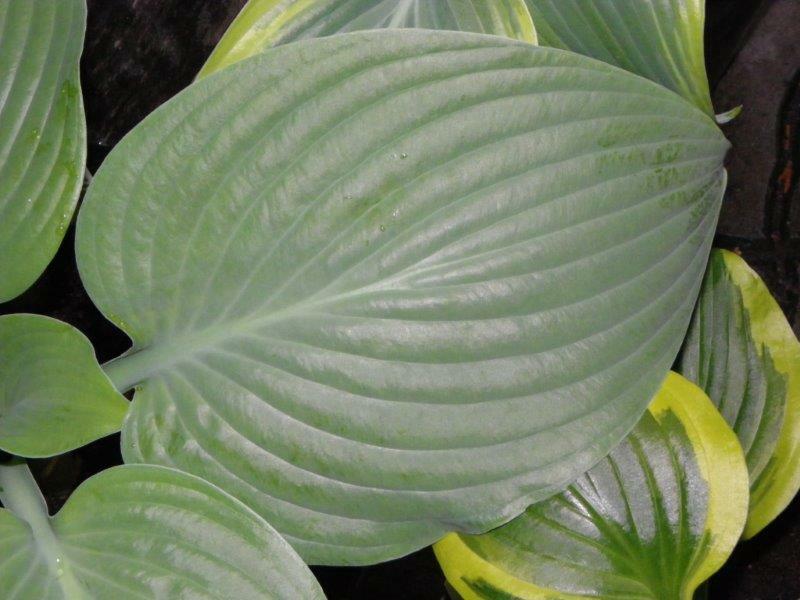 'Abiqua Elephant Ears' is is one of the biggest hostas in existence. It has very large, pointed blue-green leaves with deeply impressed veins that are sculpted like elephant ears. The leaves are held in a semi-upright manner. Each leaf can measure as much as 43 cm long. Give this a place of honour in your garden where it can reach its full potential.